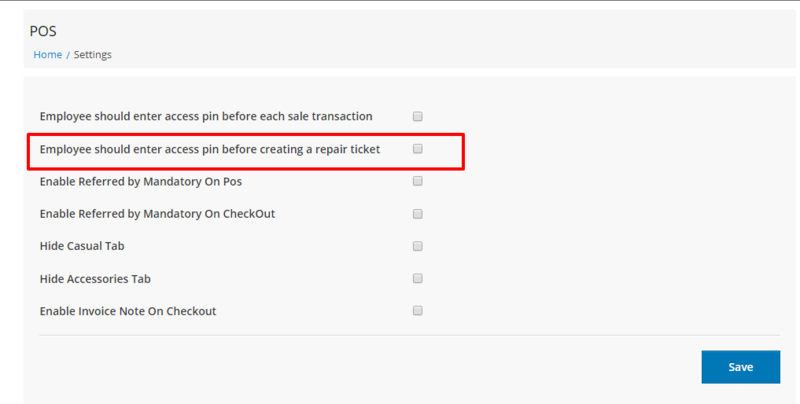 Some of you wanted us to add a feature where an employee must enter PIN before they can create a repair ticket because if you are not logged in and someone else uses the point of sale it comes up that you created the ticket, not the actual person who did it. Sometimes if the correct data is not taken on the ticket then you can follow up with that person and retrain them to ensure all data you need is collected. We're excited to introduce the ability that requests employees to enter their Access PIN codes before they can create repair ticket. Once this trigger is enabled, RepairDesk will also request pin if you would like to update tickets. 1. Head to Settings. 2. Click on Module Configuration. 3. Select POS from the left menu. 4. 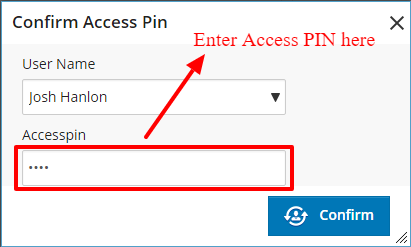 Enable the trigger "Employee should enter access pin before Creating Ticket". 5. Click on Save (button) to implement this feature. Now before creating a repair ticket or work order, RepairDesk will show a pop up alert that will request employees to enter their access PIN. Once entered, a repair ticket will be created against that employee. Once this trigger is enabled, RepairDesk will also ask employees to enter their Access PIN before updating or saving a ticket. This means that any change in ticket whether on POS or through Manage Tickets section will not be implemented until employee enter his or her Access PIN code. You can also view who created or updated a ticket under Ticket History section after employees have entered their Access PIN to confirm creation, editing or saving of a repair ticket. This will help you in keeping track of any changes made to repair tickets and ensure that only authorized personnel are allowed to make such changes. Q. How can I change an employee's Access PIN? A. You can do so by going to Settings >> Manage Employees. Click on the Action button against the employee whose Access PIN you want to change and select Edit. Under Roles & Access section, update the Access PIN.